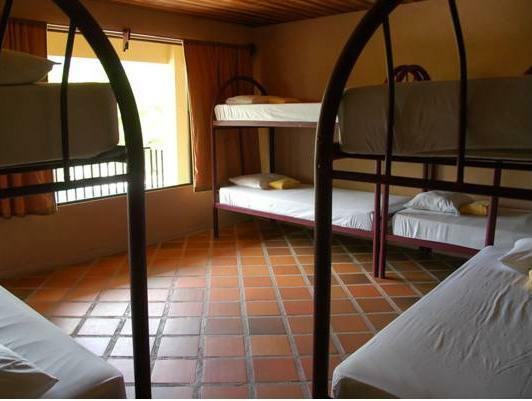 ﻿ Best Price on Arenal Backpackers Resort in La Fortuna + Reviews! Located 2.2 mi from the slopes of the Arenal Volcano, this hostel offers its guests complimentary Wi-Fi access, luggage storage, and a snack bar. The property also has an outdoor pool. 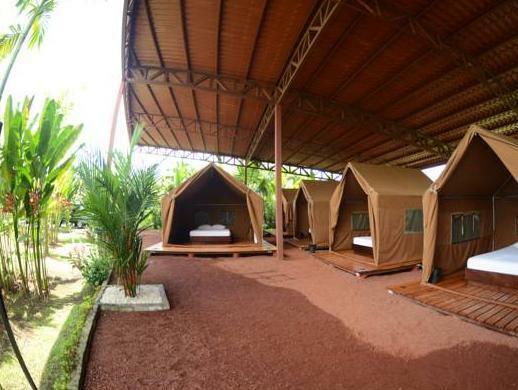 Arenal Backpackers Resort features shared dormitories and tents for up to 4 people. The dormitories are air conditioned and have lockers. Bathrooms and showers are shared and provide free toiletries. Arenal has an on-site restaurant that serves local dishes, plus there is also a bar. The property also features sun terraces, laundry services and the front desk operates 24 hours. The hostel can help arrange a variety of tours like visiting La Fortuna Waterfall or the hotsprings, hikes to the volcano, horse riding, rafting or canopy tours. The Arenal Lake is reachable in a 16-minute drive, and La Fortuna Waterfall is 14 minutes’ drive away. Juan Santamaría International Airport is 2 hours’ drive from Arenal Backpackers Resort. Accommodations can be paid by credit or debit card with an extra charge of 5%.